Printing smartphone photos has never been easier. Thanks to a smartphone wireless printer, you can now print snapshots directly from your phone. And if convenience isn’t incentive enough for you to get in on this digital trend, a great deal on one of these devices just might be. 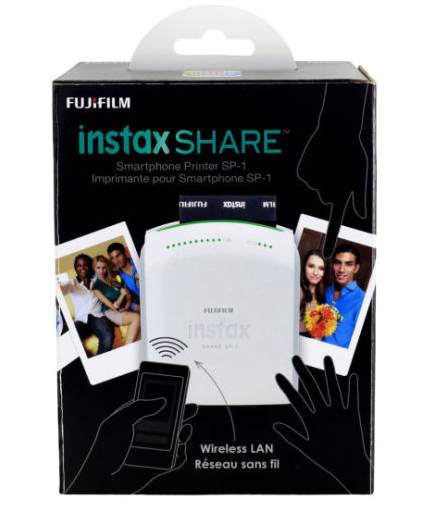 The Fujifilm Instax Share Smartphone Wireless Printer Sp-1 makes sharing pictures a snap. Right now, popular craft store Michaels is selling the printer for just $199.99 (regularly $299.99). This Instax printer allows users to print credit card-sized (2.4-inch by 1.8-inch) copies of photos straight from a smartphone or tablet. The product is compatible with iOS and Android devices. Download the compatible app to add templates to your pictures. Snag this sale at Michaels.